These photographs show an A.A. Doerr Merc. 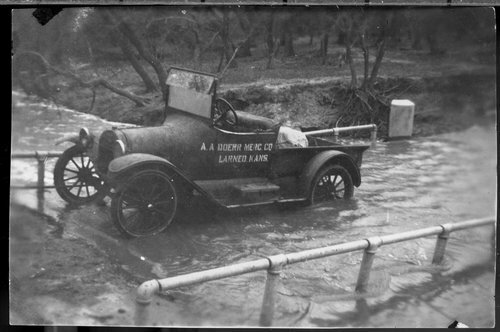 Co. pickup truck from Larned, Kansas, trapped on a bridge during a flood. Two men are working to pull it off the bridge.